Setp 2: Click the button ‘Tools’ . 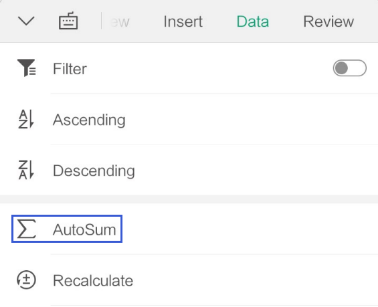 Step 3: In "Tools", there is an ’AutoSum’ option below ‘Data’ Tab. 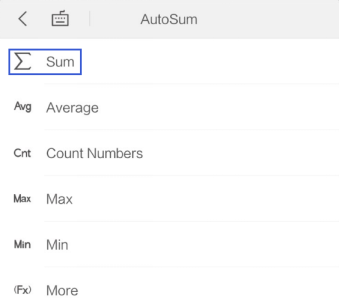 Step 4: Click ’AutoSum’ to find the option 'Sum'. Step 5: Set the range of cell where ought to be sumed. You can drag the cells or input the cell range. Step 6: At last, click enter to confirm.